Gabriel & Co. understands the power of jewelry and its significance to consumer’s lives. As infants - even before we can speak – we’re attracted to things that sparkle. No wonder jewelry has such universal appeal. But jewelry that matters, the jewelry we cherish and covet possesses something more because its presence is integral in creating and celebrating the unforgettable moments in our lives. Pieces of jewelry mark milestones, they serve as our keepsakes of ardor, our instigators of memories, our enhancements of beauty, and our sources of legacy. Gabriel & Co. takes immeasurable pride in the quality and precision of their jewelry. They will therefore make any necessary repairs or replacements that prove to have manufacturing defects. But because they want you to wear your purchase with as much frequency, and joy, they are offering extended warranty protection beyond their regular guarantee. Gabriel & Co. will cover damages and repair jewelry due to normal wear and tear or accidental damage from one year of the date of purchase. The warranty is only valid if registered by its unique Gabriel Serial Number within 30 days of purchase. Detailed terms and conditions available online. Keep the original sales receipt and ensure the requested information is filled out online. By completing the warranty form and registering the serial number online, you have validated that you have read and fully understand the terms and conditions of the Gabriel & Co. warranty. Contact your local retailer or Gabriel & Co. at warranty@gabrielny.com. 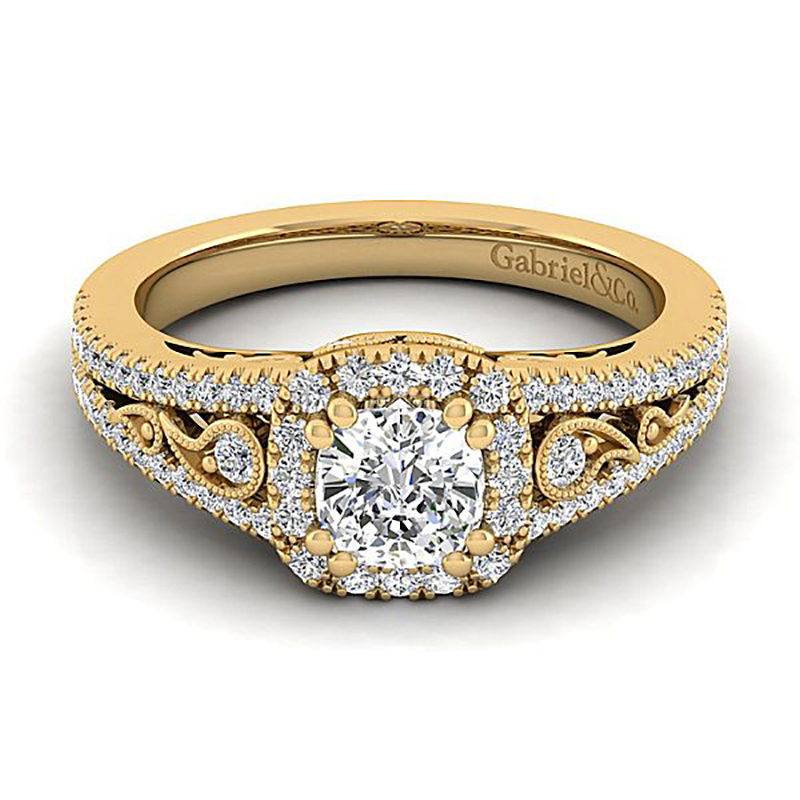 Gabriel & Co. bridal engagement and wedding rings are among the finest in the world. Our exceptional craftsmen individually handcraft each ring with careful attention to detail and styling. Our diamond selection process guarantees superior quality, as each stone is thoroughly examined by an expert gemologist. Our bridal collections offer a variety of styles, as well as the flexibility to alter elements in order to create a unique heirloom. Our team of renowned jewelry designers and manufacturers have established a record of consistency in quality that is unsurpassed. We own and operate our manufacturing facility, guaranteeing superior quality. It is the collaboration of designers and manufacturers that transforms an ordinary piece of metal or stone into an extraordinary piece of jewelry.